The two sides of the nose are separated by a bony and cartilaginous “septum”. In cases where the septum has been dislodged, or deviated from the normal position, patients have what is commonly known as a deviated septum. Patients with a deviated septum were either born with this misalignment, or it resulted from an injury or trauma such as a broken nose. A deviated septum may be responsible for all kinds of nasal and sinus disorders including nasal obstruction, recurrent or chronic sinus infections, difficulty in breathing, snoring and sleep apnea, chronic sneezing or nosebleeds, nasal pain, and even sinus pain or headaches. Dr. Cohen’s patients who have chronic nasal congestion often have a deviated septum in addition to turbinate hypertrophy or nasal valve collapse. The symptoms of a deviated septum are many and can include loud snoring, ongoing postnasal drip, sinus headaches, facial pain, nosebleeds, bad breath, chronic mouth breathing and recurrent or chronic sinus infections. Severe deviations may even lead to sleep apnea. 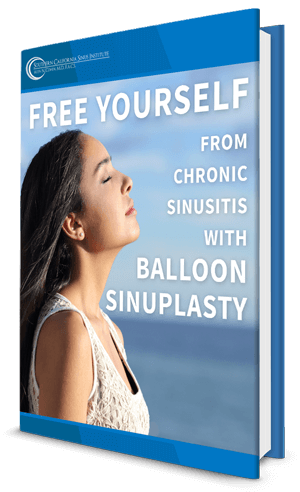 At LA’s premier nose and sinus center, the Southern California Sinus Institute, nationally renowned nose and sinus surgeon, Dr. Alen Cohen, is proud to perform minimally invasive septoplasty for patients suffering from a deviated septum. This is usually a 45-60 minute procedure performed as an outpatient in a surgical center through a small ½ inch incision inside the nose. It does not involve breaking the nasal bones or any external bruising or cast, especially if cosmetic changes are not being made to the nose. The recovery is rather quick over 72 hours and patients resume normal activities by 5 days after the procedure. In some cases a septoplasty may be performed by Dr. Cohen in conjunction with rhinoplasty (cosmetic nose surgery), in order to improve the appearance of the nose for the patient. Dr. Cohen is an expert at both aspects of the procedure so that patients not only breathe better and have a properly functioning nose, but also refine their nose to fit their face so that hideous bump or bulbous tip is gone! Contact the Southern California Sinus Institute to schedule a consultation with award winning, Los Angeles based ENT and sinus surgeon, Dr. Alen Cohen today.